Daily consumption of walnuts can help in healthy ageing, while also improving the bloodcholesterol levels and maintaining good gut health, finds a new study. 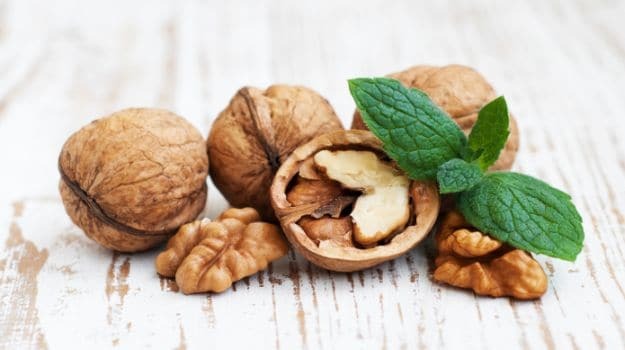 The findings showed that intake of walnuts, especially by the elderly, can boost the good fats and other nutrients as well as lower obesity and blood cholesterol levels. Initially found to increase body weight, the study’s preliminary results demonstrated that daily consumption of walnuts for one year by a sizable cohort of older adults had no adverse effects on their body weight. “Given that walnuts are a high-energy food, a prevailing concern has been that their long-term consumption might be associated with weight gain,” said Emilio Ros, director of the Lipid Clinic, Endocrinology and Nutrition Service at the Hospital Clinic of Barcelona, Spain. For the study, the team instructed 707 healthy older adults to add daily doses of walnuts (approximately 15 percent of caloric intake) to their typical diet or to consume their usual diet without nuts. The participants were not given advice on total calorie and macronutrient intake or food substitution for walnuts. After a year, both groups showed similar results for weight gain, triglycerides and HDL (or ‘good’) cholesterol, but those eating walnuts experienced significant LDL (or ‘bad’) cholesterol reductions. “We will further assess how walnut consumption may affect, among other outcomes, cognitive decline and age-related macular degeneration, conditions that were major public health concerns,” Ros added. The findings from the Walnuts and Healthy Aging (WAHA) study were presented at the ongoing Experimental Biology 2016 in San Deigo, US.